Kai is Professor of Information Technology and Organisation in the Discipline of Business Information Systems. 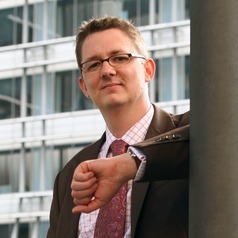 He joined the University of Sydney in August 2009 from Münster University in Germany, where he held a position as Assistant Professor. He received his Diploma in Information Systems (Dipl. Wirt-Inform.) and his Ph.D. in Management from Münster University, Germany, where he also finished his Postdoctoral thesis (Habilitation). Kai's research interest is in Disruptive Technologies, Enterprise Social Media, Virtual Work, Collaborative Technologies and the Philosophy of Technology. In one current research stream he focuses on the introduction and management of Enterprise Social Networking into organisations and the elicitation of associated benefits.